Are you spring cleaning your office? 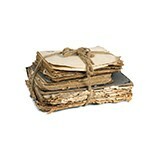 The University Archives aims to retain materials that relate to the University’s story. So as you clean and recycle, help us preserve and remember too. Materials of historical value describe the purpose, activities, history, values, and character of the University, department, or school; student and faculty milestones and achievements; unusual or outstanding events; annual events and special events (hosted events, outside speakers); and events which shape the University of Portland legacy over time. 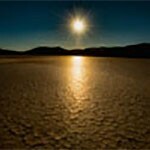 Deciding which items are of enduring value can be more an art than a science. When in doubt, let the University Archives sort out the questions and papers by contacting Fr. Jeff Schneibel, C.S.C., at archives@up.edu or x7116. Are you teaching this summer? Clark Library staff are ready to tackle summer session course reserves. We handle copyright screening and scan materials to meet accessibility standards. If you plan to reuse items that were previously on reserve, let us know and we can find that list in our archive. For new course reserves, email a list of citations to library@up.edu or use the online form. Please include the course name, course number, instructor, and number of students enrolled in each section. Questions? Stop by the Service Desk, call x7111, or emaillibrary@up.edu. 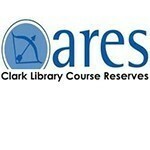 The course reserves FAQ is also available on the Course Reserves tab at http://library.up.edu. Light refreshment will be provided and there is no formal program. The Covert Gallery is located on the main floor of the Library. For more information contact the Clark Library at x7111 or library@up.edu. When you add a link on your Moodle course page to an article in a library database or to a streaming video, how can you tell if the link will work for students connecting from off-campus? Most library databases offer the option to obtain a persistent or stable URL for individual articles or videos, and many of those persistent URLs are automatically set up to connect through the library’s off-campus access system. However, there are exceptions to every rule, and unfortunately not all library resources provide an easy, off-campus-friendly URL for specific items. Check out the library’s Linking to Online Resources from Moodle web page for tips on finding persistent links to content within your favorite library resources, and for indications of which resources offer grab-and-go friendly links ready to be added to Moodle, and which links need a quick-and-easy edit (with instructions provided) to work from off-campus. If you have questions about linking to library content from Moodle, or other library-related matters, contact Stephanie Michel at michel@up.edu or x7418. It’s not too late to try something new in 2019! 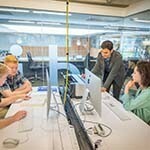 There is still space in the last few spring Digital Lab workshops. Creating Electronic Music will introduce recording basics using GarageBand and Ableton Live 9. Introduction to Illustrator will focus on creating posters. Lighting Basics will cover techniques that can be used when making videos or taking photos. Workshops are free and open to current students, faculty, and staff. Visit the Digital Lab’s site to see the detailed schedule and to register online. The Clark Library surveys the University community every three years to better understand everyone’s needs, and to gauge satisfaction with our current services and resources. We invite staff and faculty to take the survey by using this link. Responses are anonymous, but you can provide an email to be included in drawings for Powell’s gift cards. The sooner you take the survey, the more chances you’ll have to win one! 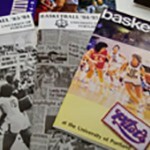 Women’s basketball has been a cornerstone of University of Portland athletics for four decades. Faculty, staff, and students are invited to explore the team’s history through photographs and artifacts, including a signed basketball from their first WCC appearance in 1994. The exhibit will be on display from now through March in the Covert Gallery on the library’s main floor. Come explore the dynamics of the digital workplace with the Pamplin School of Business’ Gwynn Klobes at the next UPCrossroads event, taking place on Friday, January 25, at 3 p.m., in the Digital Lab. 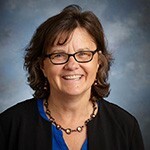 Klobes is the program director for the P4 program and will share some of the technical tools and strategies she uses to help students prepare for the challenges ahead. This interactive discussion is the first of two UPCrossroads events this semester. All are welcome. Light refreshments will be served. 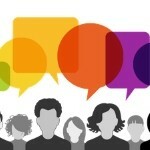 UPCrossroads is a discussion series that explores the intersection of teaching and technology. It is sponsored by Academic Technology Services and Innovation in collaboration with the Clark Library and the Digital Lab. Welcome back! One very visible change in the library is that the display of current magazines and newspapers has been relocated from the lower floor to the main floor. 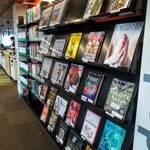 They are next to the Popular DVDs and Books for easier browsing. The other print journals remain on the lower floor in periodicals compact shelving. In the online realm, librarians have created a topic guide to help students with Identifying, Finding, and Reading Scholarly Sources, as well as subject guides for Archaeology, Catholic Studies, and Hellenic Studies. Did you know that the Clark Library has been proactively adding books from our collection to course reserves? This semester, we have expanded that effort to purchasing and adding a selection of books used by the 100 and 200 level courses. This helps ensure students have access to these books for class, even if they are unable to purchase them. 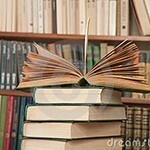 Reserve books loan for four hours at a time. See which ones are available for your courses by visiting this link and please let your students know.